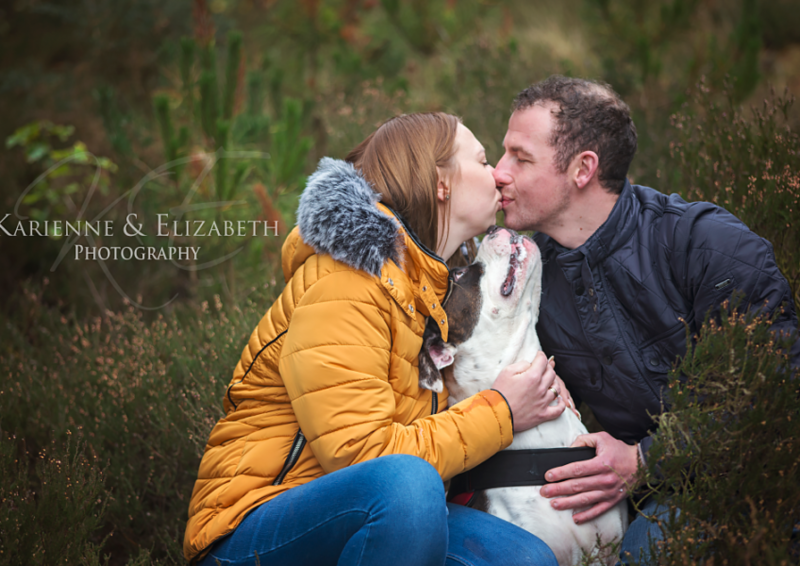 Meet our outdoorsy trio Samantha, Luke and their fur baby Patch! We met Samantha a few years ago when her best friend got married and she was a bridesmaid. In February next year they are about to switch roles so not only do we get to photograph a beautiful wedding we get catch up with some previous brides and grooms too! We’re hoping for some snow and beautiful glistening icicles…but with a splattering of sunshine too. And knew you had to be on my arm. The tree was big, was me, to protect you. Would you like a free Autumn engagement session? Have you booked your wedding photography yet? PSssst: Would like to see more of our work? Keep scrolling on our blog or ‘Like us on Facebook’ where you can see lot more of our work and our client reviews. Feel free to click the ‘like’ button to keep up to date with all of our weddings, portraits and much more.